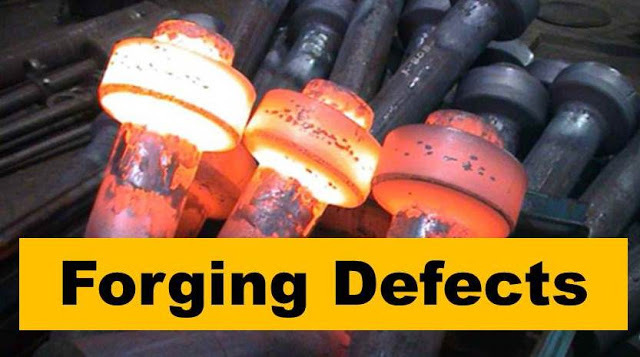 Today we will learn about forging defects types, causes and its remedies.Defects are common in every manufacturing process like casting includes casting defects, welding includes welding defects, same as forging consist some defects which are due to both process and human limitations. Forging gives better mechanical properties among all manufacturing process but it also includes some common defects which are described below. As the name implies in this type of defect some of the forging section remain unfilled. This is due to poor design of die or poor forging technic. This is also due to less raw material or poor heating. This defect can be removed by proper die design, proper availability of raw material and proper heating. Cold shut includes small cracks at corners. These defects occur due to improper design of forging die. It is also due to sharp corner, and excessive chilling in forge product. The fillet radius of the die should be increase to remove these defects. Scale pits are due to improper cleaning of forged surface. This defect generally associated with forging in open environment. It is irregular deputations on the surface of forging. It can be removed by proper cleaning of forged surface. Die shift is caused by misalignment of upper die and lower die. When both these dies are not properly aligned the forged product does not get proper dimensions. This defect can be removed by proper alignment. It can be done by provide half notch on upper die and half on lower die so at the time of alignment, both these notches will matched. These are internal cracks occur due to improper cooling of forge product. When the forge product cooled quickly, these cracks generally occur which can reduced the strength of forge product. This defect can be removed by proper cooling. This defect arises due to incomplete forging. it is due to light or rapid hammer blow. This defect can be removed by proper control on forging press. Surface cracking occurs due to exercise working on surfaces at low temperature. In this defect, So many cracks arise on work piece. This defect can be removed by proper control on working temperature. This defect occurs due to improper cooling of forged part. Too much rapid cooling is main causes of this type of defects. This can be removed by slow cooling of forged part. These are all main types of forging defects. If you have any query regarding this article, ask by commenting. If you like this article, don’t forget to share it on social networks. Subscribe our website for more interesting articles. Thanks for reading it. What is Strain? What are Types of Strain? 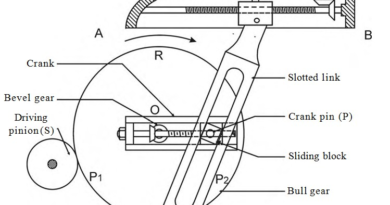 ← What is Forging Process, Operation, Types, Application, Advantages and Disadvantages?